A number of Slovenian businesses have shown interest in investing in Vietnam as the two countries have enacted an economic cooperation agreement. Enterprises from Slovenia and Vietnam have great opportunities to cooperate in the sectors of heavy industry, maritime transportation and logistics, Slovenian Minister of Economic Development and Technology Zdravko Pocivalsek to the Vietnam Economic Times during a field trip to the Southeast Asian country. Slovenian firms want to ramp up cooperation with Vietnamese partners in a wide number of industries such as water management, biotechnology and nanotechnology, which are Slovenia’s strengths in the EU, the minister added. He also expressed hopes to boost trade exchange with Vietnam. 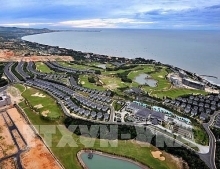 Bilateral trade jumped more than ten times between 2005 and 2014, reaching $125.3 million in 2014 and $76 million in the first five months of 2015, according to data of Vietnam’s Ministry of Industry and Trade. A Vietnam-Slovenia economic cooperation agreement, which was signed in June 2015 and has come into force, will pave the path for Slovenian investors in Vietnam, said Ho Thi Kim Thoa, vice trade minister. 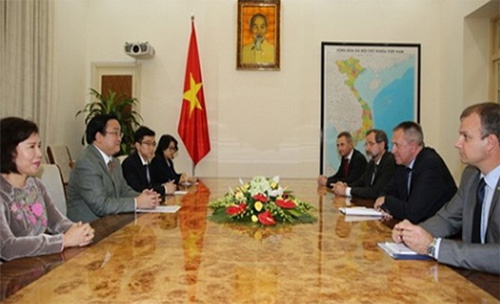 At a meeting with Mr. Zdravko Pocivalsek last week, Deputy Prime Minister Hoang Trung Hai said Vietnam wanted to partner with Slovenia in industry, trade, and service, especially in garments, textiles, footwear, mechanics, automobile, industrial machines, logistics, and tourism. 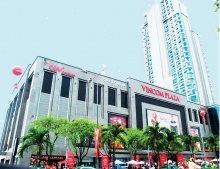 According to the Foreign Investment Authority under the Ministry of Planning and Investment, Slovenian firms had four valid investment projects worth $3.27 million in Vietnam as of August 2015./.